Intrinio's mission is to make financial data affordable and accessible so developers and investors can save money and make time to build something meaningful. We have been hard at work on the "affordable" part of our mission, adding new data feeds to the marketplace so our users can access more data types in our pay-for-use model. 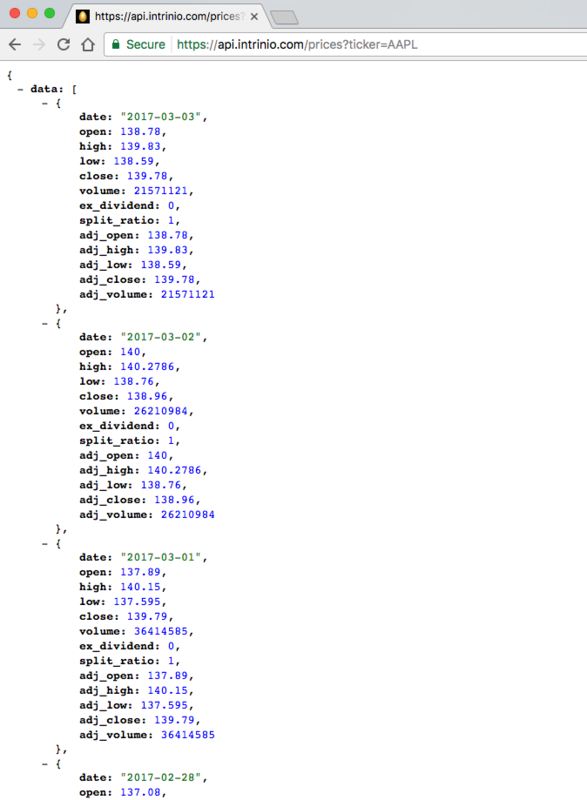 It is possible to query the Intrinio financial database via API and receive responses in CSV format. 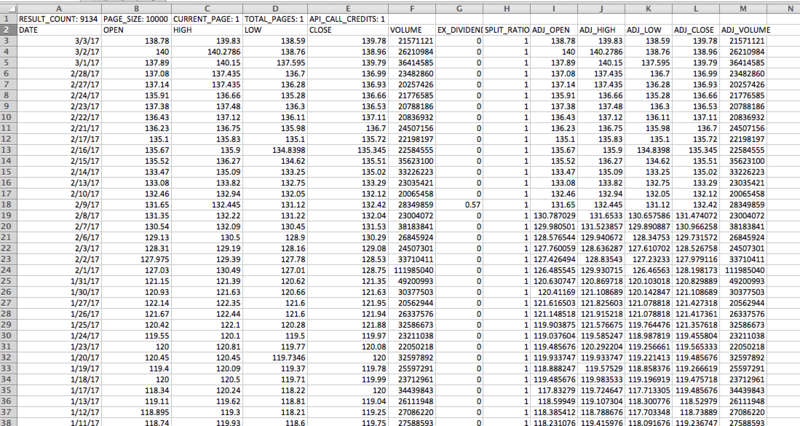 In other words, you can download Intrinio data in bulk to CSV and open it in Excel for further analysis. That output is static, unlike the Excel add-in, but also easy for non-developers to download in bulk, unlike the REST API. If you are unfamiliar with how to build the syntax to download a CSV, you can find some examples here, as well as in the API documentation or via the file download tutorial. Just remember to add a ".csv" before the "?" in the syntax.